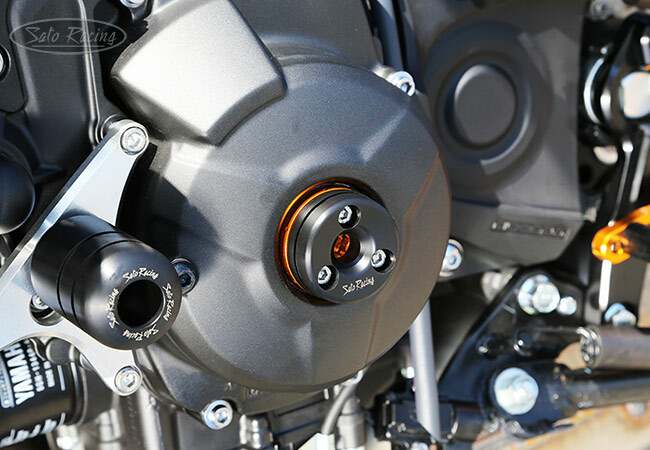 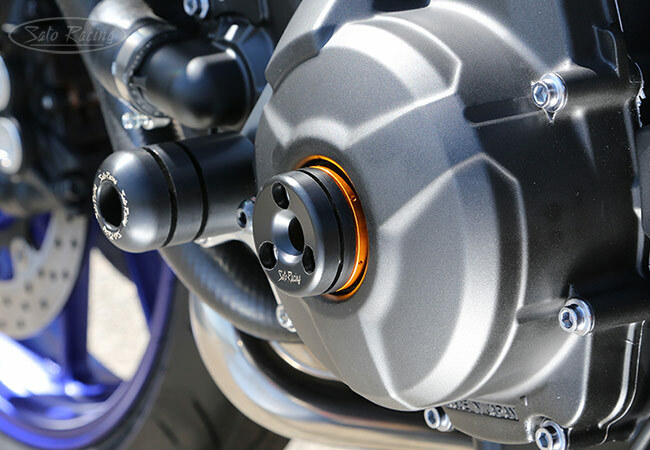 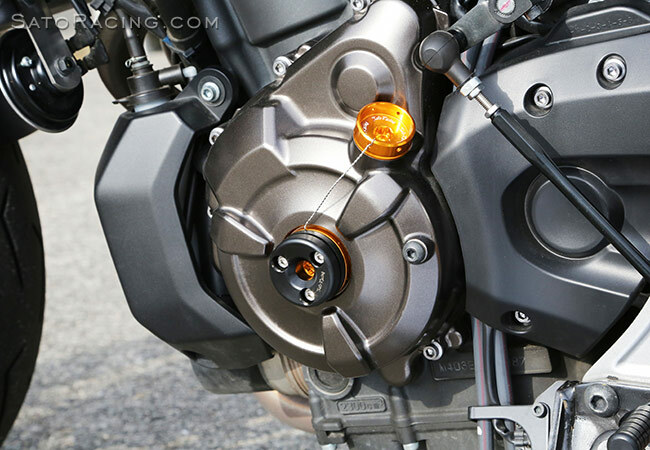 SATO RACING TIMING HOLE PLUG for 2014 and up Yamaha FZ-07 / MT-07 and 2017 and up FZ-09/ MT-09 and XSR700 features a tough, abrasion-resistant DELRIN guard for protection of the lower-left side engine case if in a slide at speed on the track. 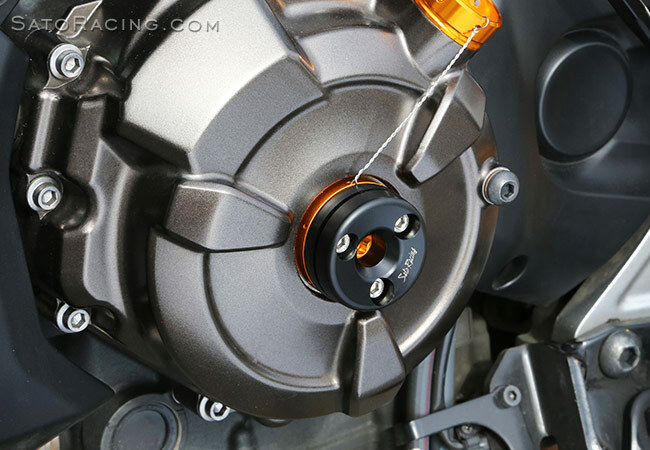 Guard is mounted on a gold-anodized billet aluminum base. 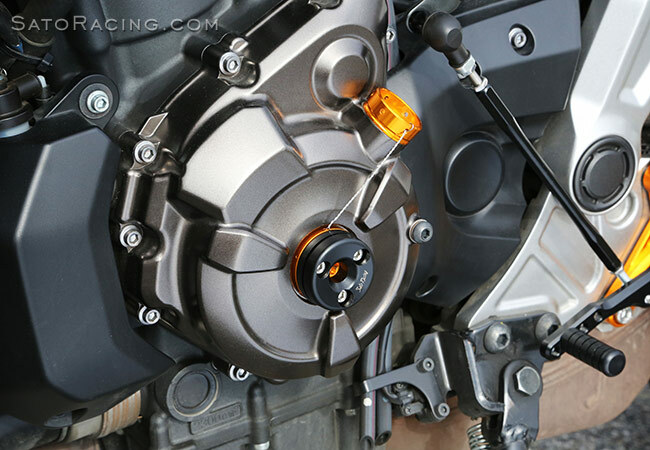 The base has holes along the perimeter for attaching a safety wire (not included).